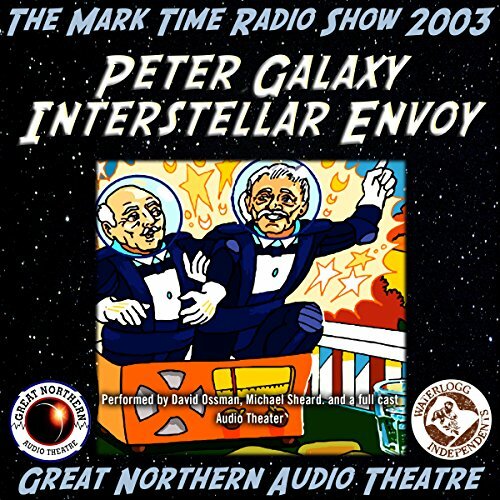 Showing results by narrator "David Ossman"
Peter Galaxy and his sidekick, Dr. Simon, used to be big stars on the radio. Now they're just two retired actors playing cards on the front porch and riding herd on the grandchildren. But can these two old-timers find work for 300 billion illegal aliens? Yeah, we wondered about that question too. 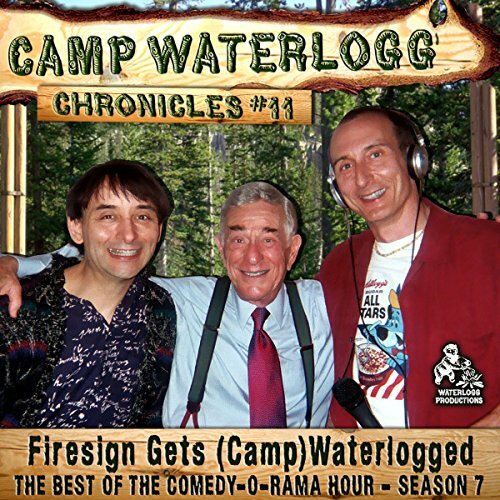 Firesign Theatre's David Ossman (as George Tirebiter), comedy legend Shelley Berman, and former SNL comedian Senator Al Franken join the cast of The Comedy-O-Rama Hour for another six misadventures of Sgt. Lefty, Ellis da Boatkeeper, Adam Maxwell, Andy, and Woody (all voiced by Joe Bev); Olive Pitts, Ellis, Mrs. Terwilliger, and Lkie (all voiced by Lorie Kellogg); Ron Drysdale and Jimmy (both voiced by James Folly). We've all seen that lone shopping cart sitting on the edge of a parking lot. Who goes and gets it and brings it home? 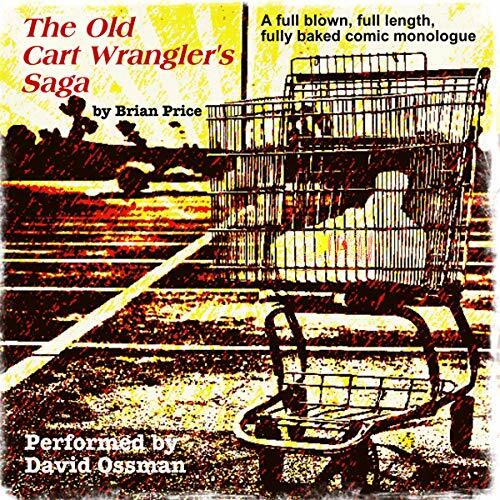 The cart wrangler, of course. 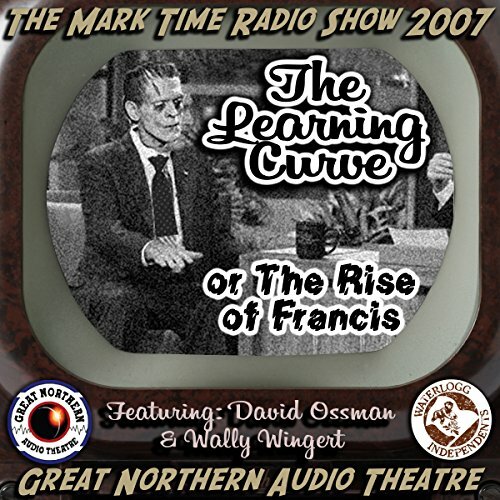 Brimming with easy humor, fantasy, and wisdom, David Ossman - of Firesign Theatre fame - gives the performance of a lifetime in this theatrical full-length monologue backed by a crack Kansas City jazz trio and recorded before a live audience at the Brick in downtown Kansas City, Missouri, on June 6, 2018. Mixing voice, eclectic jazz, and sound effects, this performance breaks sound-art boundaries and may even break your heart. Collected here are 18 plays, some of which were performed before a live audience at the Mark Time Awards shows. 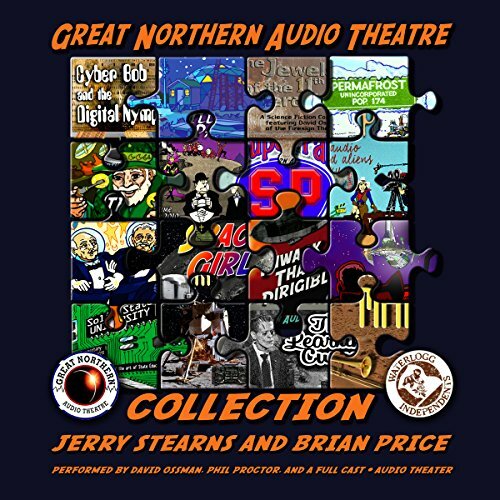 Firesign cofounders David Ossman and Phil Proctor and iconic children's show host Chuck McCann are among the many actors performing on this ultimate Great Northern Audio Theatre collection. Pangborn arrives unexpectedly on a lighthouse in space, startling the caretaker and his wife. Then Ripley shows up, looking for Pangborn. Then Ripley's father, space pirate Captain Squid, arrives looking for his daughter, and he doesn't like finding Pangborn there, too. Soon they all discover that the lighthouse is about to be smacked by an approaching passenger space cruiser unless they can do something. A hot bath is suggested. Will they all escape destruction? Will they find out who the father of Ripley's baby is? 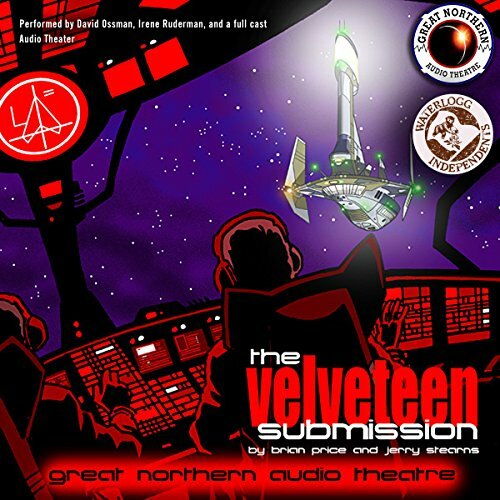 Over the years while writing, directing, and acting at radio theater workshops and in the Mark Time Radio Show performances at Minneapolis' CONvergence science fiction conventions, Brian Price and Jerry Stearns found that they shared a love for classic Beat poetry, Lord Buckley, and prose poems, so they started doing some of their own. This is a collection of their unique hybrid of humor, music, character, and performance. 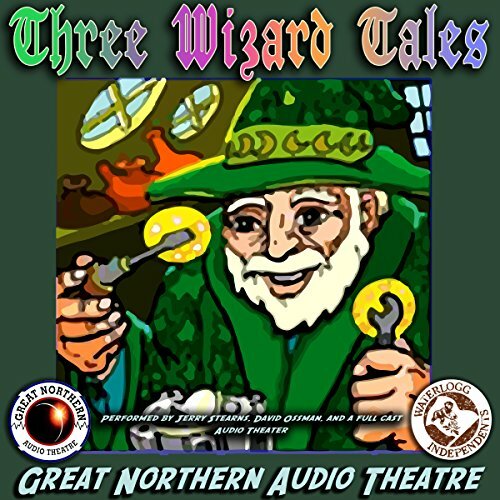 Three modern tales of wizards, magic, and silliness. "High Moon" is a Western showdown with magic and 50 meters. 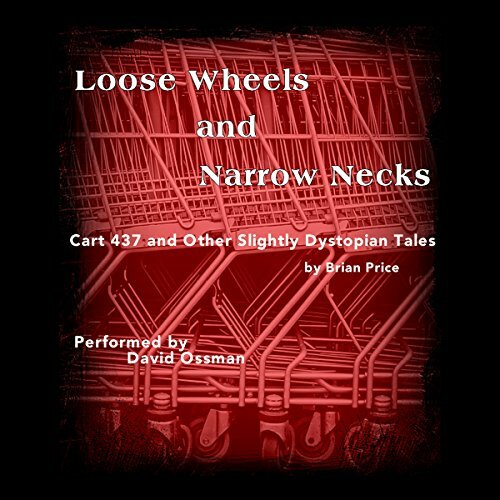 "Tell Them NAPA Sent You" is a story of a wizard, dwarfs, and auto parts. And in "Wizard Jack", the wizard accidently trades all the magical tomorrows for tango lessons. 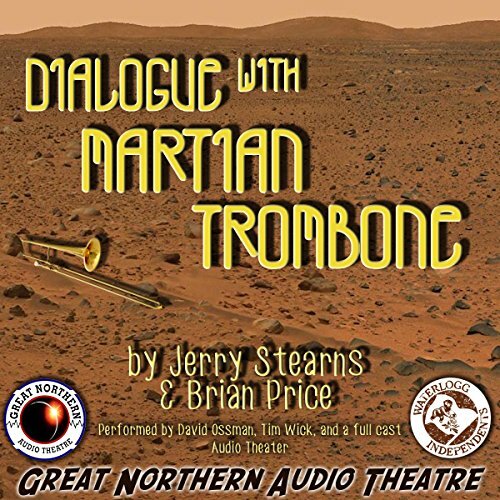 Featuring David Ossman and Phil Proctor of the Firesign Theatre and a full cast. The Ramon Raquello Orchestra was supposed to get their big break that night in 1938, on Orson Welles' Mercury Theater show, but they kept getting cut off. The rest of that program became famous. Still is. But what happened to the band? We join them many years later at a reunion, and it seems that they can't seem to escape the influence of the Martians. What does it take to jump-start an economy? Why, consumers! So what do politicians do to jump-start an economy? They create millions of new consumers by emancipating creatures and monsters, real and fictional. But is the public ready to accept creature-made entertainment features? What do politicians care?